Disturbing mystery affecting your favorite news sites. Familiar names in alternative media like the Drudge Report, Breitbart, Infowars, the Blaze, Newsmax, WND, FoxNews.com, and the Daily Caller all saw their rankings plummet while sites such as NPR.org, the Daily Kos, Democracy Now!, Media Matters and ThinkProgress all rose in the rankings. The lower the number on the graph the higher the ranking, with 1 being the best. 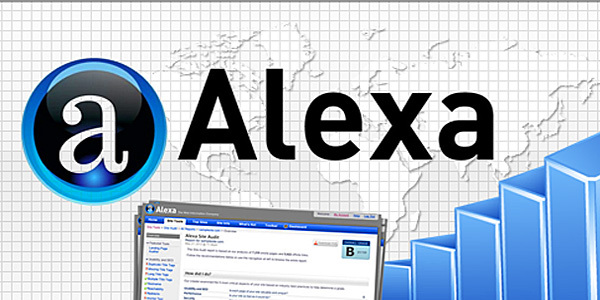 Alexa purports to measure the traffic of thousands of websites around the world and then assigns a ranking to each site. The lower the number the higher the ranking of the website. The data can be important because it is used, along with that collected by a handful of similar companies like Comscore, Quantcast and Google Analytics, to determine placement of advertisements that websites rely on to pay the bills and keep running. What do YOU think? Are watchdog news sites discriminated against? Sound off in today’s WND poll! Tucker Carlson, founder of Washington, D.C.-based the Daily Caller, said the data being put out by Alexa doesn’t square with that being reported by his own analytics. The staff at Austin, Texas-based Infowars was equally perplexed by the numbers. “As a certified member of Alexa, we find these trends troubling because in their very own subscription data on their site, we have had significant growth for the period indicated,” said Infowars reporters in an emailed statement. Infowars is also seeing increases in another indicator, its largest YouTube channel. “Our analytics indicate 305,000 views on 8-1-14 trending upward to 456,000 views on 10/11/14. This is views per day and represents a 50 percent rise in views during that period,” the staff said via email. WND Editor and CEO Joseph Farah said WND’s traffic has also been up. WND was the first independent Internet news-gathering alternative in 1997. WND reached out to Alexa through email, phone and Facebook to ask if the company’s methodology has in any way changed, but did not get a response. Phone messages were left specifically with Alexa’s operations manager, Ron Shalhoup, who had not responded by the time of this report. The company did publish a blog posting that explains a new method of calculating its rankings based on what it says is a wider panel of viewers. The producer of a major conservative website, who asked not to be identified, said he doesn’t give too much credence to any single monitoring site’s data. The source said some websites can “buy” a higher traffic rating from powerful social media companies like Facebook and Twitter.